Big fan of: You! This friendly dog loves everyone he meets. Richmond is very playful, and benefits from daily exercise. 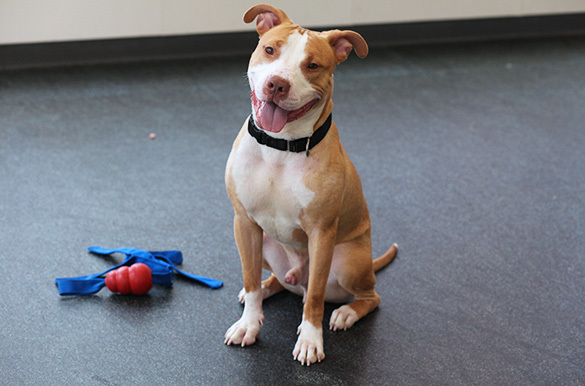 This outgoing guy is interested in playing with other dogs, but may need some guidance to learn to play politely. Not a fan of: Moving slowly. When Richmond is out for a walk, he’s in a real hurry to get where he’s going. Special features: Richmond already knows how to sit! This smart pup would love to have you teach him other tricks. With guidance and supervision in his new home, Richmond will learn quickly to only use the bathroom outside. 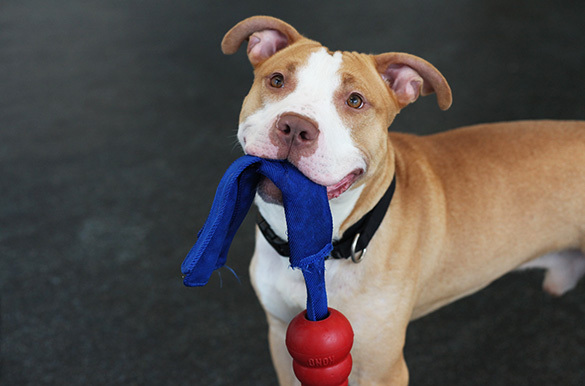 Dream home: Richmond is looking for an active and experienced adopter who will spend plenty of time exercising with him and training him. He’d do best in a home with teens-and-up. If you’re interested: Please call our Adoption Center in New York City at (212) 876-7700, ext. 4120.